A city whose rapid rise to riches spawned a rough – even brutal – reputation, America’s third largest city has long been rehabilitated as the civilised capital of the Mid-West. It now stands as a lakeside cultural and commercial mecca dominating in the wide expanses of America’s rich agricultural and industrial heartlands. 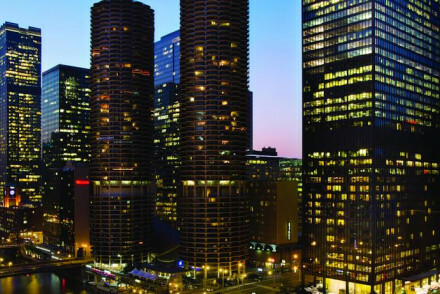 The best places to stay in Chicago are ideally situated to make the most of this thriving city, whether you're here for business or pleasure. Here “cultural” does not just mean symphony orchestras, Picassos and Rembrandts, though Chicago has more than its fair share of those. Chicago culture is American culture in all its guises, highbrow and popular, which is partly why 44 million visitors a year make their way to this city on the shores of Lake Michigan. The Windy City is the place to experience all-American urban life at its finest, encompassing the dramatically vertical cityscape of the Loop business district (Chicago was home to the first skyscrapers), the clackety El Train system, the cavernous grandeur of Union Station, the Wrigley field baseball stadium, and Frank Gehry’s fantastically-shaped Pritzker Pavilion. Then there’s the distinctive Chicago takes on American food classics:, deep dish pizza, juicy beef sandwiches and their gourmet version of the hot-dog. And that’s before we consider Chicago’s status as one of America’s street musical powerhouses. The city that began the blues revolution personified by a long list of great names, including Muddy Waters, Howlin’ Wolf and Buddy Guy, whose influence is still strongly felt on a thriving late night club scene. The writer Nelson Algren summed up Chicago best: ‘Like loving a woman with a broken nose, you may well find lovelier lovelies. 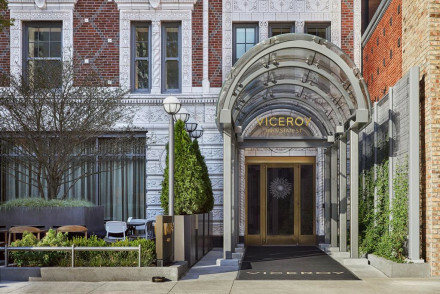 But never a lovely so real.’ Here’s our selection of the best places to stay in Chicago to experience that reality in a city that offers everything to the true connoisseurs of American life. The Magnificent Mile is everything you'd expect downtown Chicago to be: full of glorious skyscrapers, superb restaurants and museums galore. It truly is the place to be! The CBD, or Central Business District, is ideal for those on work-related trips. Stay around the Gold Coast if you fancy spending your days relaxing on the beach or wandering around the plethora of high-end shops. 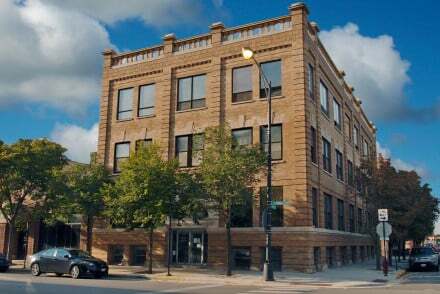 Wicker Park has undergone significant development in the past decade or so, and is now a haven for artsy creative types. This uber-cool neighbourhood is sure to impress! Lincoln Park is a good place to base yourself if you don't want to be right in the thick of it. However it still boasts a wide range of bars, restaurants and live music venues and there's plenty to do close by - stroll around the huge Lincoln Park with its free zoo; check out the local museums; ndulge in some retail therapy along Armitage Avenue. Culture vultures should make sure to visit The Field Museum, the Museum of Science and Industry and the Art Institute of Chicago. Take in breathtaking views of the city from the 360 Chicago Observation deck - just be sure to remember your camera! Head to Wrigley Field and watch a Cubs game before enjoying the lively atmosphere in the surrounding bars afterwards. Take a break from sightseeing and stop off in Millennium Park - filled with architectural structures, a live music stage and a Ferris Wheel. If you're looking for a classy way to spend an evening then go see the Chicago Symphony Orchestra at Symphony Center. Given its immense popularity, to avoid disappointment be sure to book ahead as the best places to stay in Chicago get quickly filled up. 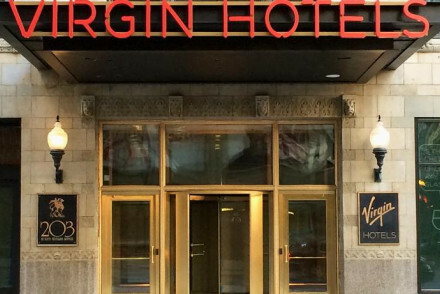 The Virgin Hotel is all about fun and great hospitality. The Commons Club is a must for cocktails and if you pop in between 7 and 8pm, you'll be able to indulge on the house! 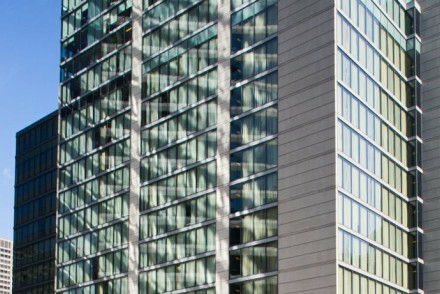 Housed in a skyscraper designed by the architectural legend Mies van der Rohe, The Langham offers “British-style” luxury combined with majestic views of the cityscape, the Chicago River, and Lake Michigan. Understated elegance in the heart of this cosmopolitan metropolis. Hotel Palomar also ticks the family boxes with a great indoor pool, bunk-bed rooms, family friendly dining and even hula hoops in the fitness rooms to keep all ages happy! Freehand, Chicago. “A relaxed community vibe” distinguishes this home from home in Chicago’s vibrant River North neighbourhood, home to some of the city's best art galleries, boutiques and restaurants. 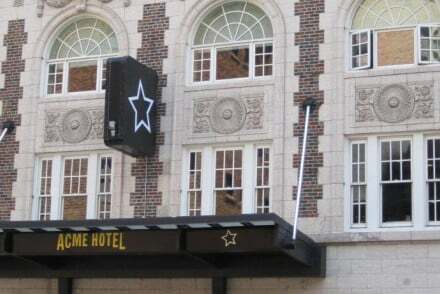 Here you'll find Innovative design, and an offering of affordable shared and private rooms. 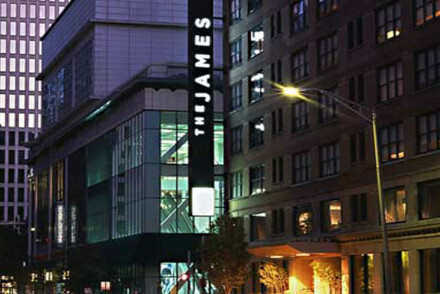 For all carnivores, a good steak is a must and you'll find one of those at The James. 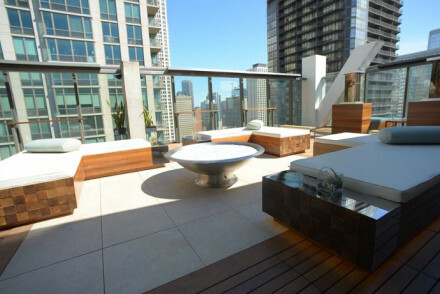 This chic property is well situated and boasts David Burke's Primehouse which is regularly voted Chicagos No. 1 steakhouse. 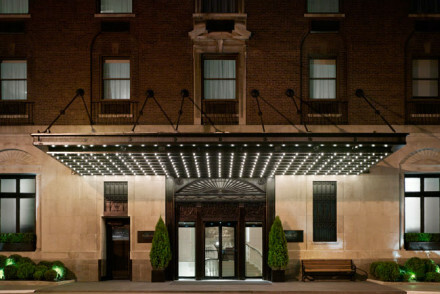 One of the best places to stay in Chicago for families is the Dana Hotel & Spa. 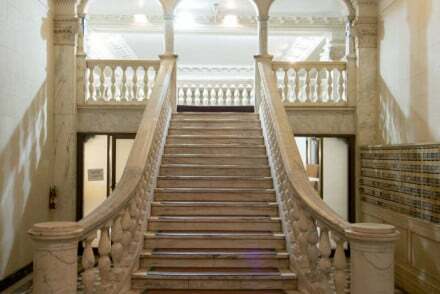 It might not be the cheapest option, but you'll be spoilt for choice in terms of great facilities and the location is ideal for exploring the city. 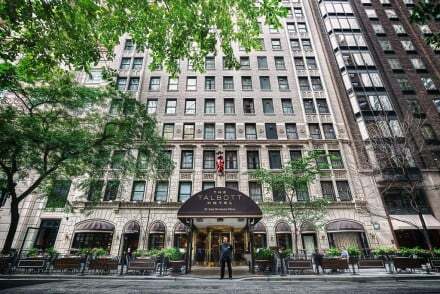 Arguably the grande dame of Chicago Hotels, The Peninsula is a city landmark. 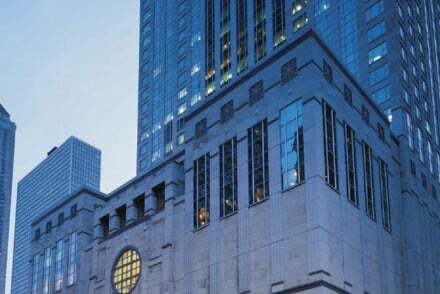 Perfectly situated and towering above an entire city block of the Magnificent Mile, it is famous for its stained-glass wall and gilded lobby ceiling, as well as three award-winning restaurants. 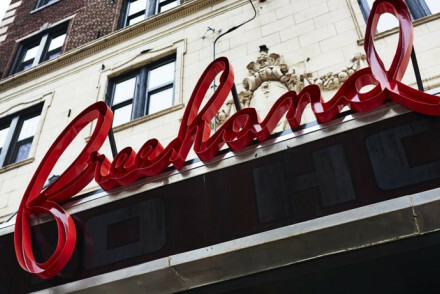 The ultimate Chicago stay. 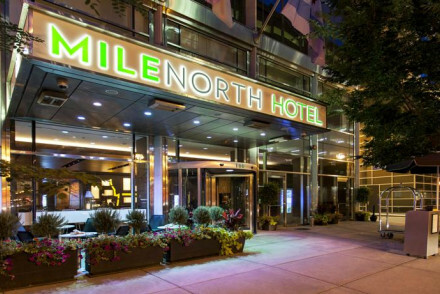 Milenorth is a lively property on the Magnificent Mile and close to Navy Pier. The bar is popular with residents and locals alike, it's in the heart of Chicago's restaurant and shopping area, and it's great value too! 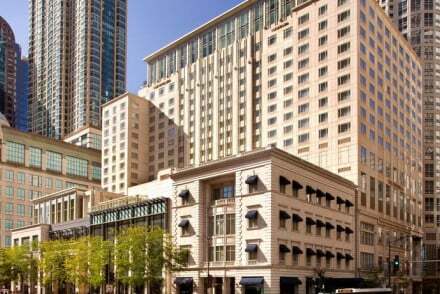 You can rely on the Four Seasons group to deliver a superior hotel experience and the Windy City’s Four Seasons is up to the mark with its Lake Michigan views, and superior facilities, location, and staff friendliness. 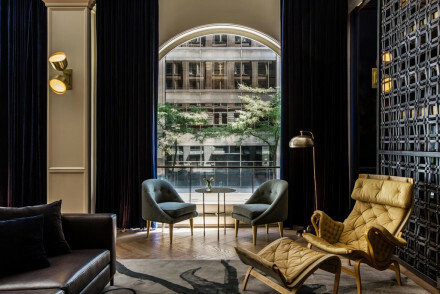 Chicago Athletic Association doesn't initially appear to fit the family bracket, but this is a top choice - with suites available and an enviably central location. Their retro rooms are spacious and smart, plus there's a lovely restaurant to boot. The Pump room restaurant is one of the reasons to book the Public Chicago. The farm to table style dining, offering reasonably priced delicious cuisine in a relaxed atmosphere, has been pioneered by award-winning chef Jean-George Vongerichten. The Public is also a good choice for the design conscious - this Ian Schrager property will not disappoint. 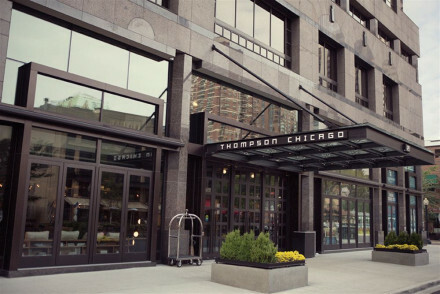 The Thompson Chicago is a trendy hotel, again in a great downtown area, which oozes style from every pore. Nico Salone is a great spot for cocktails, dinner or a bit of both, and the locals seem to like it too! 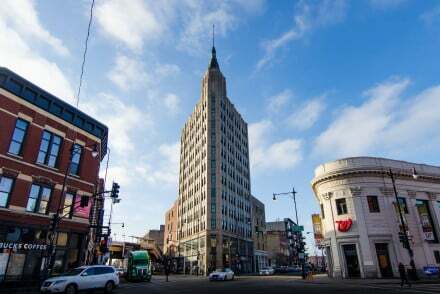 The Robey is situated in the heart of Wicker Park, and occupies the art-deco Northwest Tower building. Accommodation is fresh and contemporary, plus there's a roof top pool and bar affording fantastic city views. 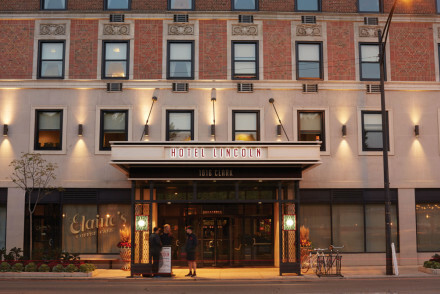 Dating back to the 1920s, the Hotel LIncoln is a funky vintage-style property set in the Old Town Triangle off Lincoln Park, which showcases original artwork from local artists. Hip contemporary style and a good springboard for exploring the city’s rich artistic offerings. Best time to visit - Chicago is a great destination year round, but if you want warm weather, come in the summer with the average daily temperature reaching 26-33°C in July. This however is peak season, so for a quieter (but still warm) alternative consider coming in May or September. The winters are bitterly cold, especially with the added effect of wind chill, however the snows bring their own charm and turn the city into a sparkly beauty. You can either fly into Chicago O'Hare Airport or Midway Airport, both of which are well served by public transport links into the city. Browse our list of the best places to stay in Chicago. Check out all our recommendations in Illinois.